There's a big buck in the neighborhood right now (probably not the same one pictured above), and he's causing some commotion. "So have you seen that huge buck I mentioned a while ago? Well he now has an arrow sticking out of his shoulder! (sad face emoji) I guess some a$$*&@# thought they could bow hunt in the subdivision. I'm on this neighborhood email list and a few others have seen him and called the police but when they get there the buck has already run away. Someone said they called Animal Control but said there is nothing they can do. Anyway he was in my backyard yesterday. As much as I hated the thought that the police would take him down, I hate that he is suffering. Definitely limping. So police came and saw him but wouldn't take him down determining too residential to shoot his gun. He suggested calling MO Conservation, that possibly if they could track him, could tranquilize him and remove arrow. Otherwise I guess it will eventually get infected and he'll die (crying emoji). Anyway, though I'd keep you in loop and share my misery." I'll post an update once I learn more. Poor deer. Sorry that some jerk did this. 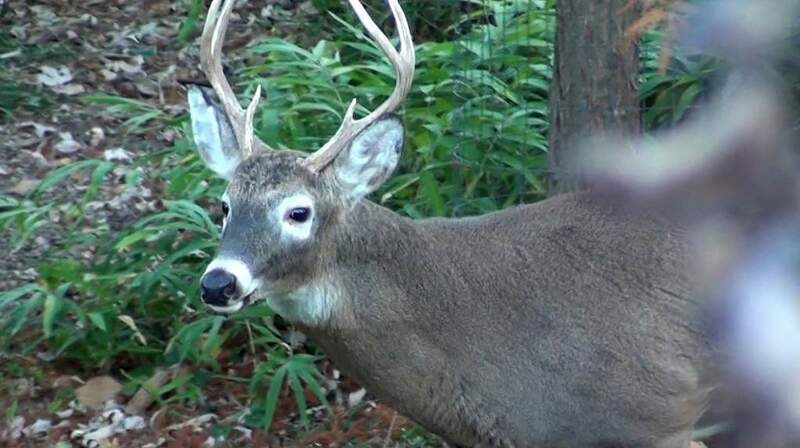 I'm fine with people hunting deer for food, but a non-kill shot with an arrow is plain cruelty. 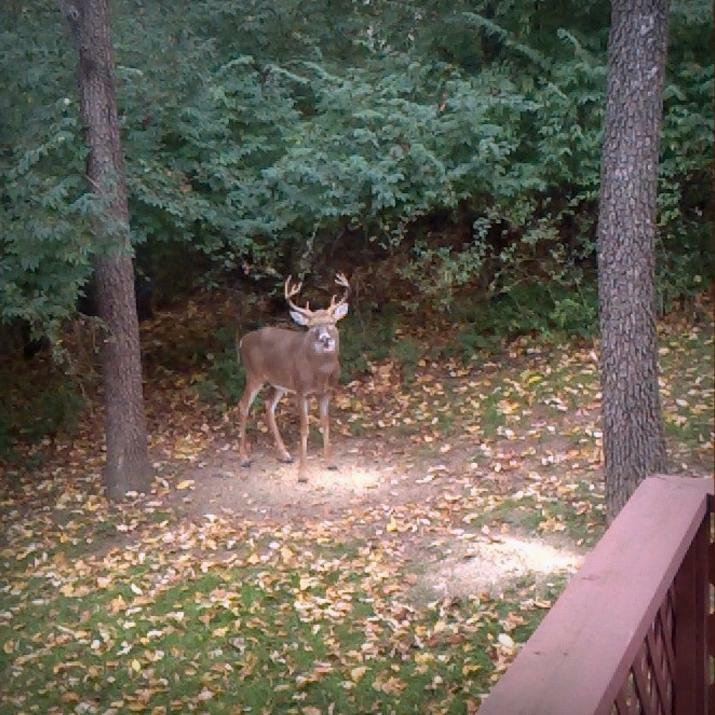 A couple of weeks ago my friends had a huge buck in their backyard. He spent the day there. when it started to get dark he left, eating my friend's lilac bush on the way. Amazing, because it was in one of the older subdivisions not too far from St. Louis city. Deer aren't frequently seen around here, but that one was a beauty. I think my friends and I would cry if it had been shot with an arrow. Surely, bow hunting isn't allowed in subdivisions with dogs, cats, kids and adults all over the place. That was a lazy, wannabe hunter in your neighborhood, I hope that there are no wannabe hunters in my neighborhood. So sad. Very cruel thing to do to a wonderful creature. Especially in a neighborhood. When these things happen I imagine that it was me with an arrow in my body...me running around in pain. I wish people would empathize and sympathize with other living creatures to be able to hunt, when appropriate, responsibly. Or not at all. It is my understanding that when you bow hunt you have to hit the deer in exactly the right spot or they just run off. The wound gets infected and the deer dies a slow death. Real sportsmanship. Deer population control is a necessity since their natural predators are gone. But bow hunting is a cruel sport. Just my opinion. I don't hate people, but lack of humanity never cease to shock and disgust me. What goes around comes around. An update: my neighbor reports that others (from the email list) have seen this deer, and the arrow has fallen out. Don't know if that means all is well with him, but I guess it's a good sign.